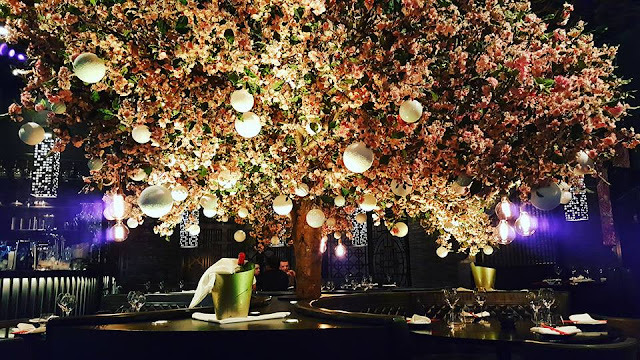 The restaurant itself has fantastic decor with a flower wall in the downstairs eating area and of course the infamous cherry blossom tree upstairs. As well as this there are many tattoo themed designs dotted around. The lighting was dim giving a relaxed feel and giving the cherry blossom tree a more central and prominent feel. The staff were all very helpful and service was very quick. Booking in advance was important as the restaurant books up fast and we just about got a spot on a Saturday night in the early afternoon. If you are visiting tattu you have to partake in the cocktails there are some different and unusual ones on the menu and all have a tattoo theme. I had the skull candy which was vodka, strawberry and bubblegum, super sweet and I loved it. 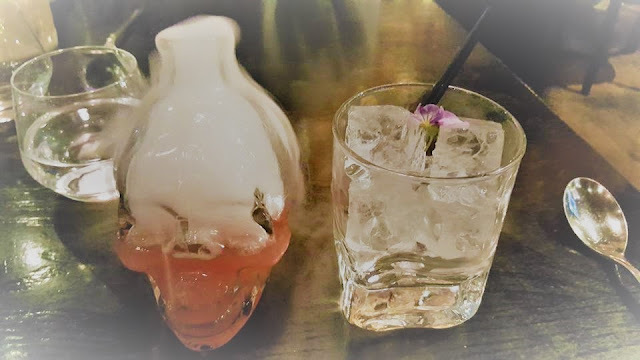 Then me and my friend shared the samurai's garden which was gin, rose and thyme. The whole experience was very theatrical and all the drinks came out smoking, giving them a mystical feel. Both drinks tasted divine- what can I say I do love a good cocktail and Tattu have these nailed. Now for the main event the food! 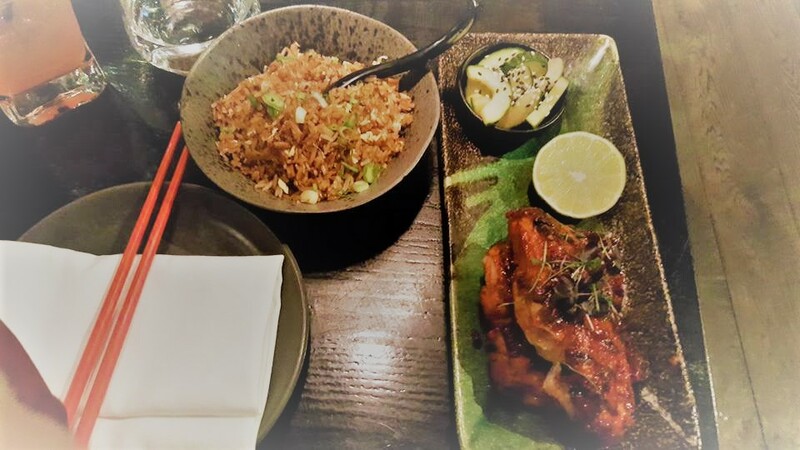 The whole menu consists of Chinese inspired cuisine. I opted for the barbecue chicken this was served with chilli, sweet soy and garlic. You then had to order your side separately and i went with egg friend rice, an obvious choice which is always good. Again just like the drinks the presentation of the food was spot on and I could not fault it. Sadly I found the chicken to be far too spicy for my palate and it was too chewy for my tastes meaning that I could not finish it. This was slightly disappointing as the meals are not cheap however I am very picky about meat and how I like it. Then it was onto dessert my favourite part of any meal. I'd scoured the menu before visiting and had already chosen what I was going to have. 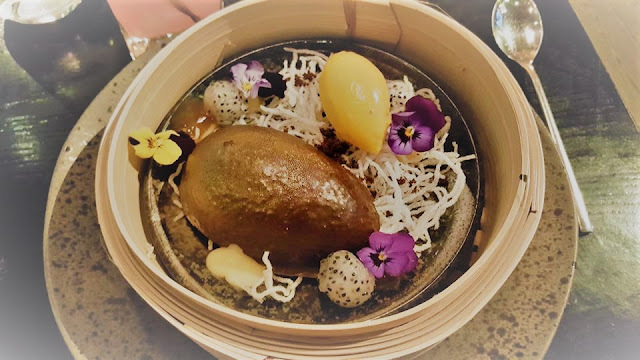 I opted for the Dragon Egg which was chilli chocolate and passion fruit. The atmosphere again did not disappoint and the egg was bought out in a smoking basket making for great entertainment and photo opportunities. The egg itself tasted divine note the chocolate that was inside the egg and the egg itself was dark, so if you are not a fan of dark chocolate this is not the dessert for you. The passion fruit was on the side and was a good contradiction to the bitter chocolate. The basket also included many edible flowers and what I can only describe as crunchy white strands which while being decorative were ultimately flavourless. I did enjoy the dessert far more than the main but it wasn't the best dessert I've ever had. 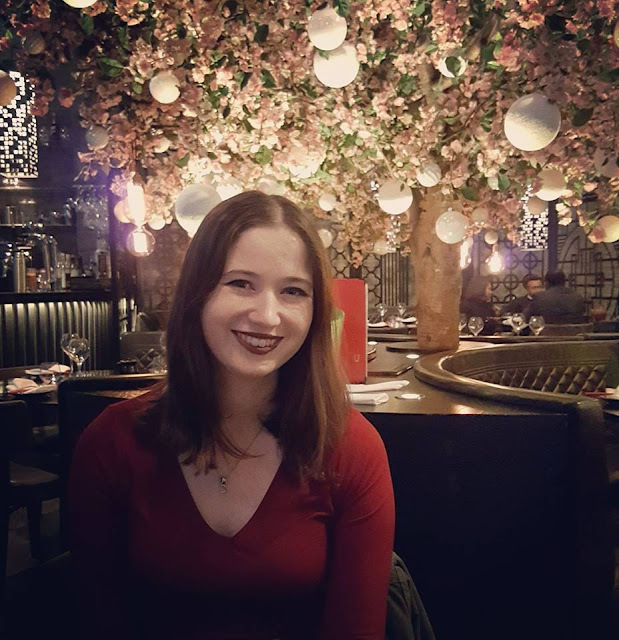 I loved the experience of the restaurant, the atmosphere and decor were stunning, the theatrics were fantastic and the cocktails were delicious. It was well worth the visit just for these aspects. However the food was not fully to my tastes and I didn't enjoy the meal as much as I thought I was going to. The meal was definitely at the pricier end and me and my friend easily spent £50 each before the service charge was added on. Overall I loved the experience of the restaurant but the food wasn't fully to my tastes. Despite this I would fully recommend a visit at least once for the experience.